Documentary created by Quirine Racké and Helena Muskens and premiered at the IDFA 2007. In this documentary, diehard fans of Kate Bush talk about their special bond with the singer. In the early 1990s, she turned her back on the music industry and went to live in seclusion on an island in the Thames. The fans in Come Back Kate all have their own ideas as to why she would choose a life of anonymity: "Kate Bush is an island, so she lives on one" (a phrase coined by Fred Vermorel) is one of these ideas. The fans talk about her as if they were good friends, and share their passion for Kate Bush with the camera. The result is a peek into the phenomenon of fandom. Bush's devotees create their own magic world around her mythical persona. Some of them celebrate her birthday on a beach in southern England, a professor of ancient philosophy writes her a letter, and a young woman who never even heard of her becomes her most famous impersonator, as everyone says she is Bush's spitting image. 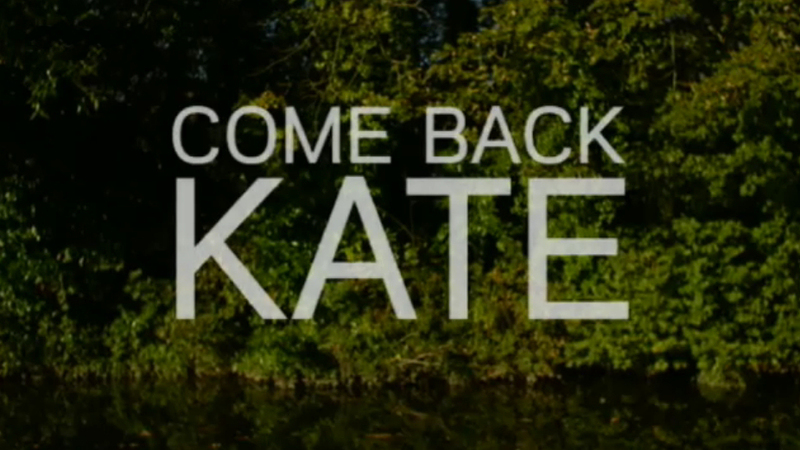 After a 12-year silence, rumours start circulating: Kate is coming back.